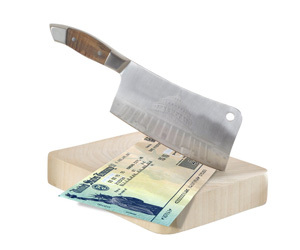 Are Medicare, Medicaid, and Social Security Disability on the Chopping Block? As a candidate, Donald Trump repeatedly pledged that if elected there would be zero cuts to Medicare, Medicaid and Social Security. That was then. Now his administration has released its 2019 budget proposal with $1.7 trillion in cuts to these programs over the next ten years. It includes a $266 billion hack to Medicare and slashing $1.1 trillion from Medicaid. As for Social Security, they’re after the Social Security Disability Insurance (SSDI) again, putting on the table planned cuts of $72 billion from a program that offers assistance the most vulnerable in our society—the disabled. The remainder of the cuts would come from a variety of assistance programs like food stamps, job training for seniors, and block grants for social programs at the local level.